With a 20mm wide Weaver / Picatinny rail. 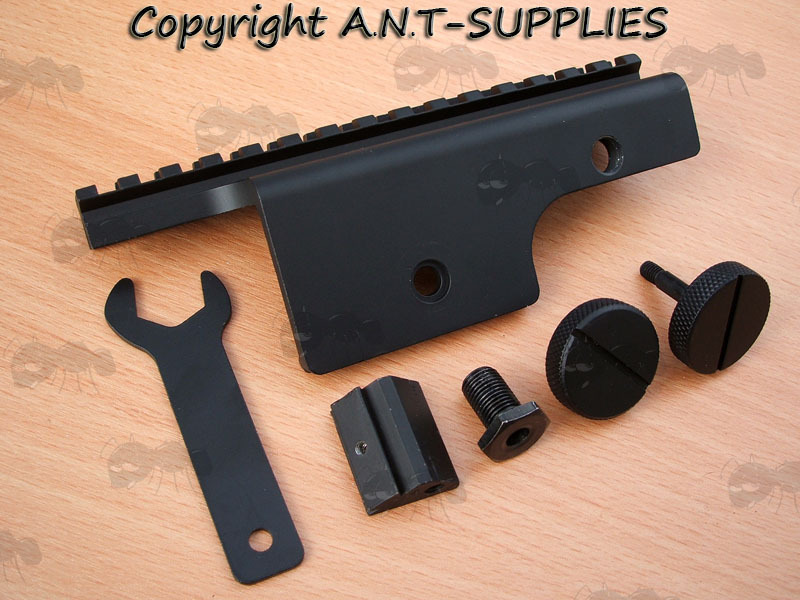 Detailed one piece rail for the M14 series. 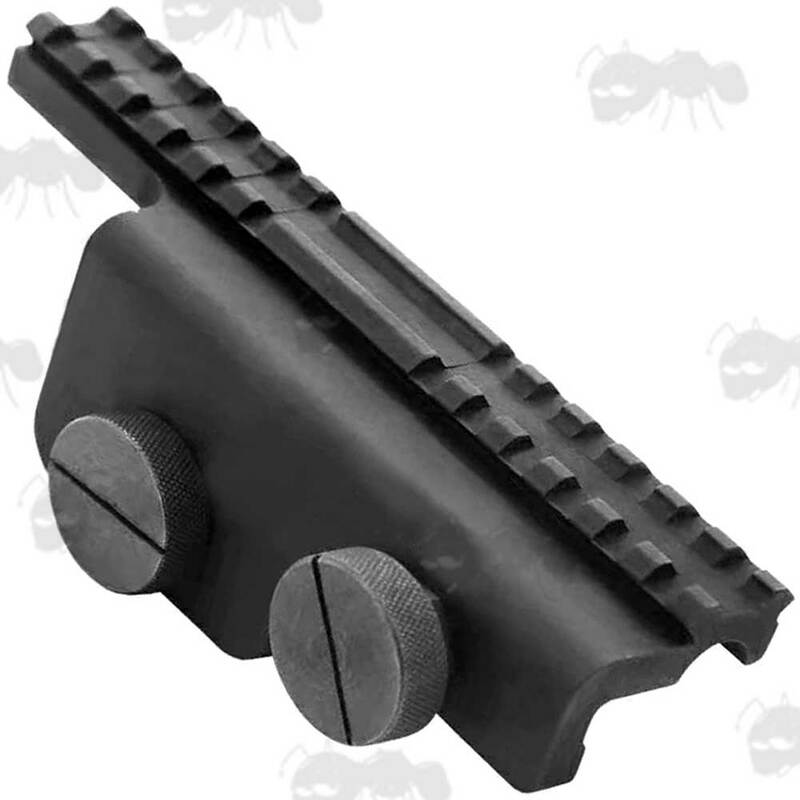 Quick and easy to install without interfering with your existing iron sights. 6 inches / 155mm long overall. 2 inch / 55mm high overall. 20mm weaver / picatinny 15 slot 155mm long rail base. The top rail locks into the charger guide dovetail, the side plate is the locking point. Transform your M14 to be capable of mounting various devices, such as scopes, tactical lights, red dots and lasers etc. Easy and fast to fit with side plate fixing bolts.